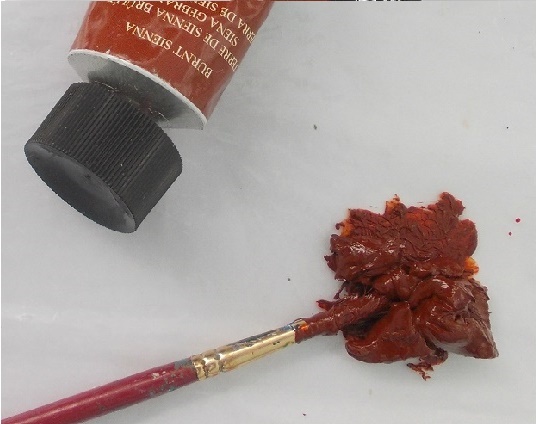 Acrylics are pigment bound with a polymer medium. It is water-soluble when wet, but water resistant when dry. 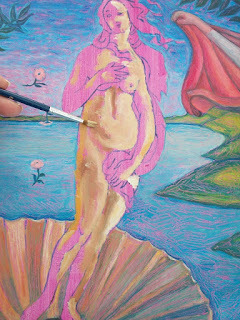 It is a great base on which to complete oil paintings if conducting the under-painting and glazes. However, the acrylic painting surface must be properly prepared. Applying the ground is known as “sizing.” The surface must be sized before the acrylic paint can be applied, otherwise the absorbent nature of the surface will retard the flow of the acrylic paint and cause it to sink, making the vibrant colours of the acrylic paint become dull. Grounds will be further explained in a moment. Different supports can be used for an acrylic painting. Wood, including plywood, MDF and hardboard. Canvasses can be purchased ready stretched and primed onto a wooden frame. Various textures exist, from fine to coarse texture. Some artists take pleasure in stretching and preparing their own, but this can be time consuming. Certain DIY and craft stores stock ready-stretched canvasses quite cheaply. Coarse texture canvas is suitable for expressive paintings with broad brushstrokes. Fine texture canvas is suitable for more detailed paintings. MDF, hardboard and plywood provide suitable panels for acrylic painting. The surface provides a firm support that canvas lacks, for more control over the paint. However, wood must be properly sized so that the acrylic paint will not sink and become dull. Simply sand the surface gently with fine glass paper in order to provide a key for the ground. The large outlet, Daler Rowney famously stock Daler Boards. These are simply ready prepared thick card. Some are made with primed linen-canvas stretched and glued onto board. 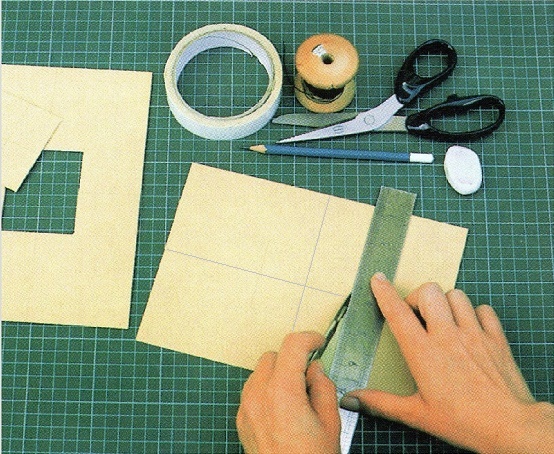 Card can be self-prepared at home at the fraction of the price by sizing it with a ground at home. Watercolour paper is ideal for acrylic painting, although it will need to be sized with a ground first. Watercolour paper is available in countless textures and grains. HP or hot pressed paper has a smooth surface. “Not” or cold pressed has a random texture. Rough watercolour paper is highly textured. The most suitable paper would consist of a thickness of 300gms or thicker. All sort of grounds are available in the market. Some require lengthy preparations, but the easiest to use is acrylic polymer primer. 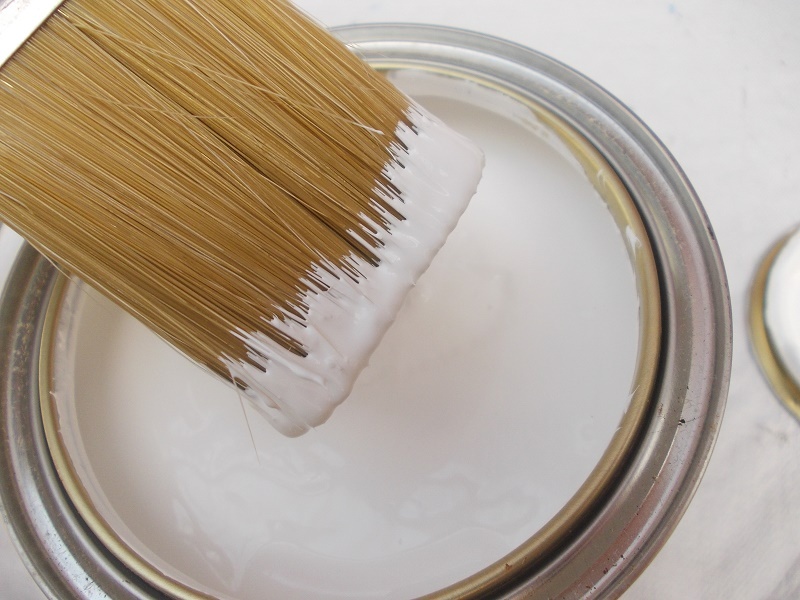 This is a brilliant white fast-drying water-based paint, ideal on which to apply acrylic paint. Two coats in a ventilated room at an hour’s interval are all that is required. A further coat might be necessary for very absorbent surfaces. Sometimes, acrylic primer is sold as “acrylic gesso primer.” It is a good guide to look for the word “acrylic” on the tin. Reading the manufacturer’s instructions will ensure satisfactory results. All sorts of surfaces can be used for acrylic painting. This can include ready stretched canvasses and art boards, such as Daler Boards, available within craft outlets, to preparing your own. 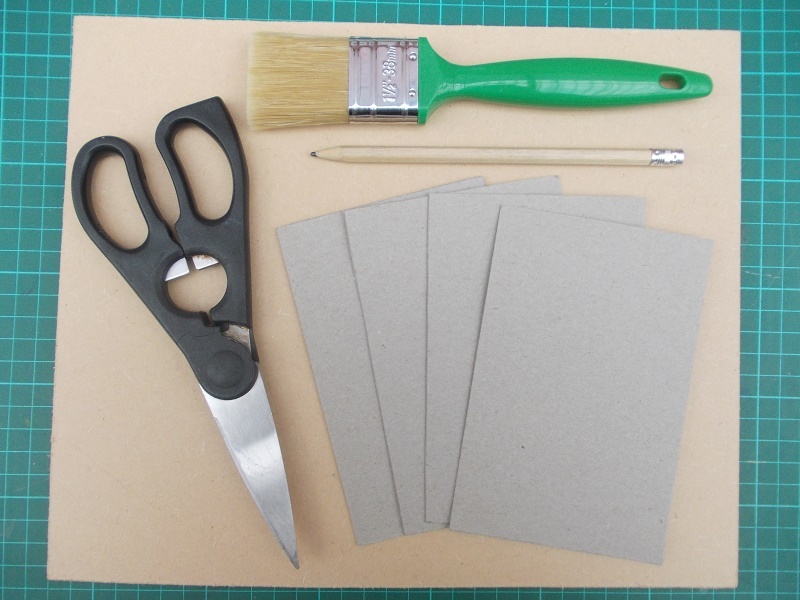 Wood, card and even watercolour paper can be used. So long as the surface has been properly sized, the acrylic paint will flow freely and the painting will retain its bright colours. Acrylic paint can be used as the end medium or it can be used for the underpainting of an oil painting or the underglaze. Looking at the world unedited is overwhelming for the artist. An interesting subject matter may be overlooked with lots of elements vying for attention. Furthermore, the drawing may end up falling off the edge of the page. How can the artist plan the best composition for painting? 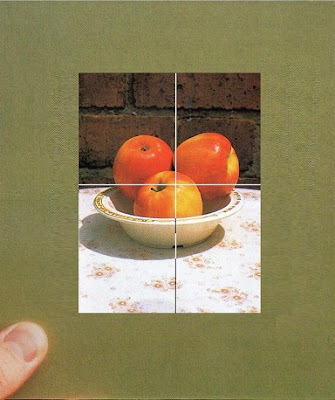 A tool called the artist’s viewfinder will make things easier. 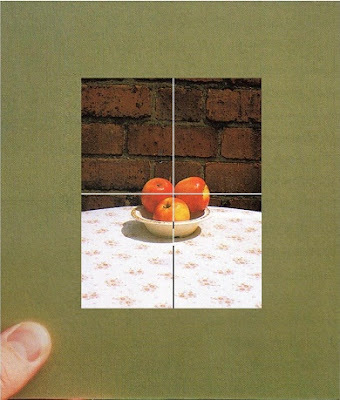 The viewfinder is a piece of card with a window cut into it, from where the world can be viewed a little at a time. It’s rather like looking through the camera lens prior to taking pictures. In a separate article, I have demonstrated how to make your own viewfinder from cheap art materials. Planning the drawing ready for painting is also made easier as the proportions of the ‘window’ are compatible with most sketchbooks. A simple grid to aid drawing is also provided. 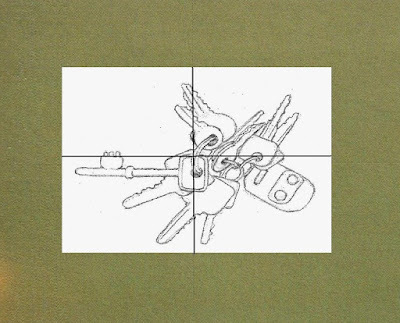 This will help simplify a seemingly complex subject matter, such as this line drawing of keys, as it is sectioned into quadrants. Once you have made the viewfinder, it’s just a matter of looking around for the best composition for painting. If you hold the viewfinder so that the window is horizontal, the composition will have a panoramic quality. 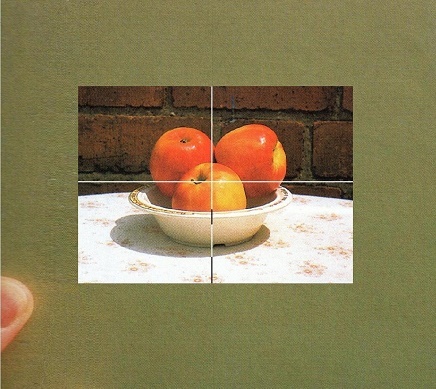 As can be seen from the image of apples, width of the scene is emphasized. Allowing space on either side of the subject matter might be necessary if interesting elements can be found here. Hold the viewfinder in portrait mode and the top and bottom of the composition will be emphasized. As can be seen from the apples, more of the background above and below can be seen. This format might benefit a composition comprising tall buildings or thunderheads. Move the viewfinder close to the eye and the image will appear to pan out. Notice how more of the background can be seen around the apples. Move the viewfinder away from the eye and the image will appear to zoom in, cutting out surrounding subject matter, emphasizing the height of the scene. Here, the apples have added emphasis. The two pieces of thread affixed across the window in cross formation serve as a drawing aid when plotting key points of the composition. The centre-point can be established as well as what lies within the four quadrants. This prevents the drawing from falling off the edge of the sketching paper. 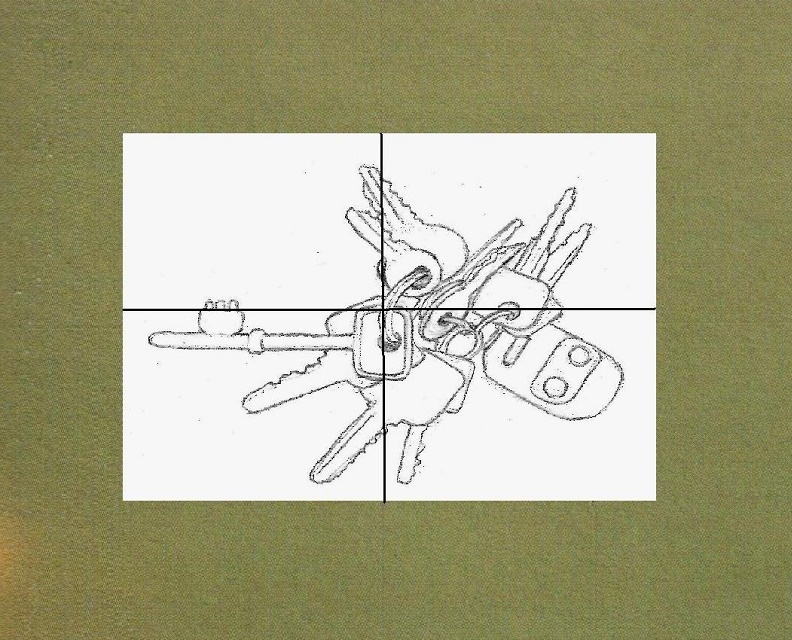 Deciding the centre-point of the drawing means that the artist knows what element will lie at the centre of the drawing pad and work from there. As can be seen, the viewfinder can be a useful drawing aid for the artist who doesn’t know where to begin. Taking this useful took with you means that interesting compositions can more easily be found, even in the most everyday places. Using a viewfinder is a great way of making drawing easier. Composing pictures for oil painting is also made possible when the artist isn’t sure where to begin. Finding inspiration from life can be overwhelming. What does the artist cut out and leave in? The viewfinder is ideal for editing out unwanted visual information in order to simplify what is seen in front. The viewfinder is simply a piece of card with a window cut in the middle from where the artist may view a particular aspect. Looking through the window is rather like looking through the camera lens before taking a picture. Plotting your drawing is made easier because the image can be viewed through a frame. Here, I will show you how to create a viewfinder containing a frame that is compatible with most drawing pads. Plotting your drawing couldn’t be made easier. 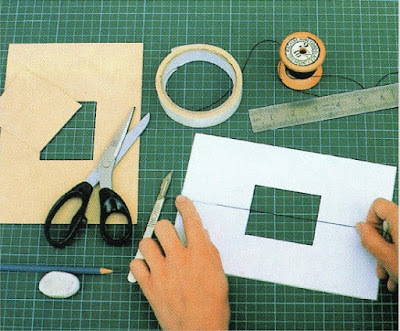 Making a viewfinder is simple. 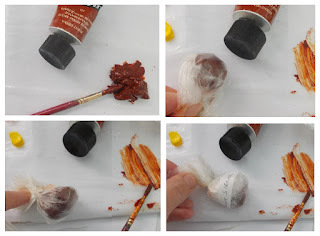 Here is a step by step demo on making your own. 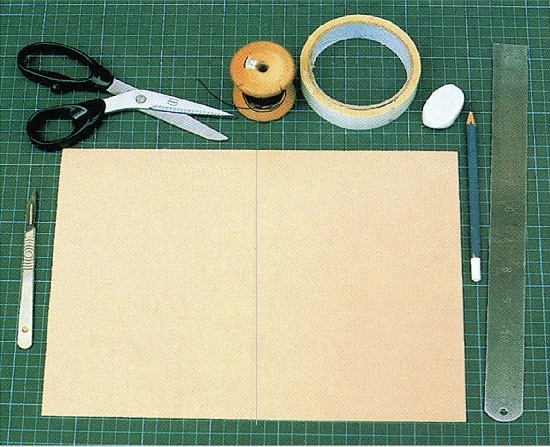 A cutting mat or old magazines on which to cut on. A piece of card measuring 11 x 8 inches (20 x 28cm). Scissors, scalpel, a pencil, ruler, double-sided sticky tape and a piece of strong thread. 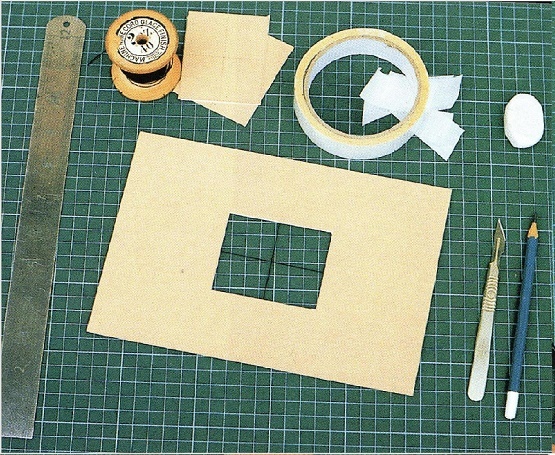 Firstly cut the piece of card in half so that each measures 5.5 x 8 inches (14x20cm). Lightly draw a cross in the centre of each card. Scalpel a rectangular-shaped hole in the middle of each card. 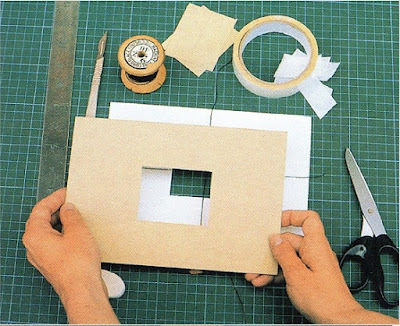 The dimensions of the hole should be 2.5 x 3 inches (6 x 7.5 cm). I have worked out these proportions to match standard sketchbook sizes. This will make sketching easier. Affix the thread via the tape across the ‘window’ so that it stretches horizontally across. The thread should be midway up the window, splitting it in two. Repeat this process with another piece of thread, this time, stretching it vertically. You should now have a window that appears split into equal quarters, like a cross. This ‘cross’ can be used as plotting points for your drawing when looking through the viewfinder and transferring the image onto your sketchbook. Now place the other piece of card over the first, sandwiching the sections of thread on the card. 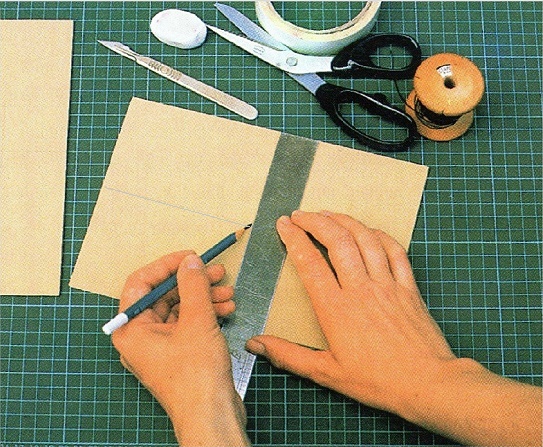 Use extra double-sided tape for more strength. The two pieces of card should now be stuck securely. Trim off excess thread. The viewfinder is ready for use. Composing the underdrawing for oil painting is now made easier when the artist wishes to sketch from life. My next article will show you how to use the viewfinder. Some argue that Leonardo da Vinci’s angel within the Virgin of the Rocks is more difficult to paint than the Mona Lisa. One only has to view the latter of his two versions, housed in the National Gallery to see why. See exquisite sfumato shadows over the face, ghostly highlights on the cheekbones, translucent eyes and hair like spun gold. And the face in three-quarter view poses a further quandary for the portrait painter. How can the oil painter capture these Renaissance effects? Unleash the Right Brain to Paint the Three-quarter Portrait View might help. This book offers practical advice on how to paint this most difficult portrait. Each stage is broken down into manageable pieces, which makes this Renaissance painting more achievable. 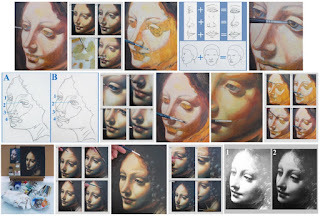 The first part of this book aims to unleash the right side of the brain in order to render a portrait in three-quarter view, avoiding common pitfalls in drawing the face. Art materials and the under painting is also explained. Learn how sfumato of the Renaissance style can be achieved with modern art materials and a compact space, without the use of a studio or bulky easels. 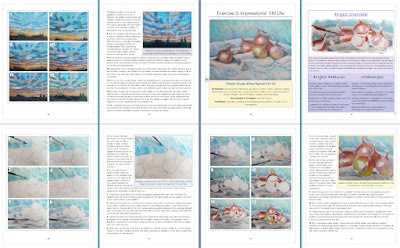 The chief section of this book comprises numerous step by step images and instructions on how the angel was completed. Learn about glazing in oils, color blending, applying detail and smooth shading. A troubleshooting guide and glossary can also be found. A challenging yet rewarding project on achieving Da Vinci’s early Renaissance style by the use of modern and simple art materials. With color illustrations throughout. Paperback book’s dimensions: 8x10in and 48 pages. Also available on Kindle, Kobo, Google Play and Apple. This painting featured for appraisal is a sun drenched rusty pickup truck in North Carolina, completed via oil on canvas with coarse bristle brushes. This painting, completed by an artist who wishes to remain anonymous, is only her fifth attempt at oil painting. She has found inspiration from a subject matter that personally fascinates me: how things crumble and rust through time. The artist has shown evidence of an eye for finding inspiration from the most unlikely places. 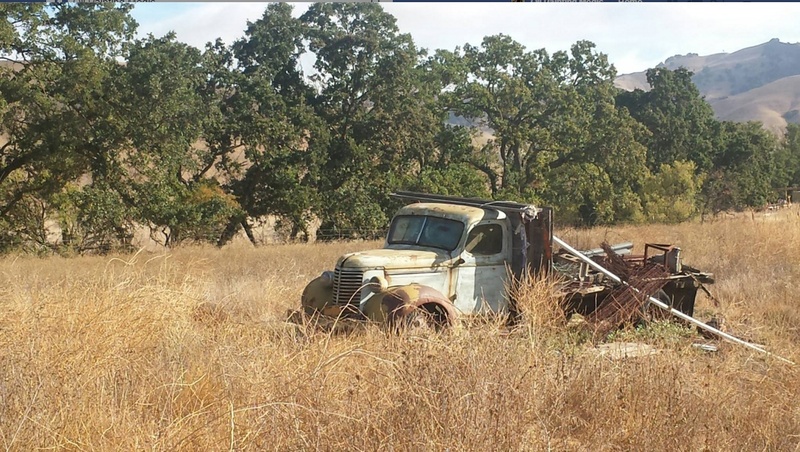 Degradation of objects, such as this old truck in ruin provides endless textures, contours and hues to explore. The medium used is oil on canvas, and what appears to be of a limited palette comprising mostly yellows, blues, greens with varying amounts of white. The rough texture of the canvas has been plied over via broad coarse bristle brushes for an impasto feel. The marks have been pasted on in different directions, creating energy and movement to the painting, which I find appealing. An underwash of a slightly deeper hue provides contrast against the sun-parched colour of grass in the foreground. The artist has handled the complex subject matter well, conveying the feel of rust; of a vehicle yielding to the forces within the landscape. We can see pinks, violets and beiges, which I feel is the painting’s greatest strength and focal point. And yet there is a dreamy appeal that conflicts against the reality of rust. It can be seen from the photograph that North Carolina has fantastic light, almost brutal. In England, where I come from, light like this does not occur often enough. In this respect, I think the artist has great opportunities to exploit this incredible light. This means being aware of light and shadow, not just the outlines of the truck itself. Light and shadow can be seen as subject matters in themselves. Look for colours within shadows, for these are not merely darker versions of the surrounding colour, but often contain definite hues. In the photograph, the shadows on the truck display an array of blues, violets and even greens. Light and shadow have been suggested in the painting, but I feel these could have been brought out more. Taking a closer look at the shapes of the shadows will yield odd, abstract and angular shapes cast across the truck’s front. 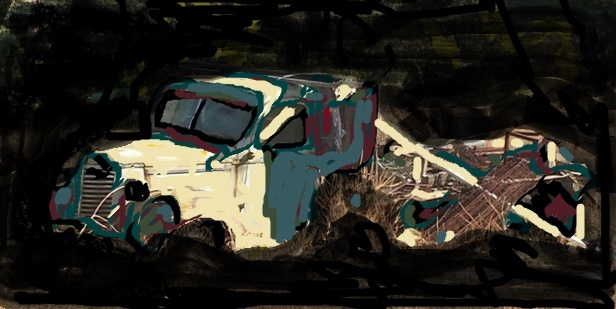 I have simplified the shadow shapes of the truck in this illustration and blacked out the background to make these shapes stand out. Don’t be afraid of expressing odd shapes in shadows, and of using bright colours if these can be seen. Often, reflected light will infill shadows. For instance, the sundrenched grass has created a turquoise cast on the truck’s door. Green is often a problematic colour for landscape artists, because of its label. But when we actually look at green in nature, it is rarely pure green, but somewhat sombre. Here, the artist has used what appears to be viridian or similar. The trees are actually quite honey-coloured with deep shadows between. Backgrounds comprising lots of foliage can leave the artist confused on what to do with it. The secret is to simplify. See illustration of how I have broken down the seemingly complex shapes of the trees. Seeing these basic shapes decodes the background areas into what can more easily be expressed. Here, the trees can almost be seen as two or three colour shapes held together by a few key trunks. Of course, this can be elaborated on, but be vigilant of over-fussing. The colours seen in the original photograph can be achieved via a mixture of cadmium yellow, white with a dab of ultramarine. The shadows can be achieved via ultramarine and burnt umber with a dab or alizarin or similar crimson. The tree trunks can be expressed by burnt umber and ultramarine (or any cool blue). When painting a scene with many contrasting tones such as this, it is a good idea to have more than one art brush on the go. This saves on constantly cleaning the brushes. I might have a ‘sunlit’ brush and a ‘shadow’ brush’. This will prove useful when painting a scene with lots of light and shadow, and will retain freshness in the painting, as can be seen here. Being only the fifth attempt at oil painting landscapes, it is evident the artist has a flair for expression. She also has an eye for where to glean artistic inspiration, which is not in the usual places. I love the loose brush marks in the foreground that is rather Impressionistic and also of the freshness and vibrancy. 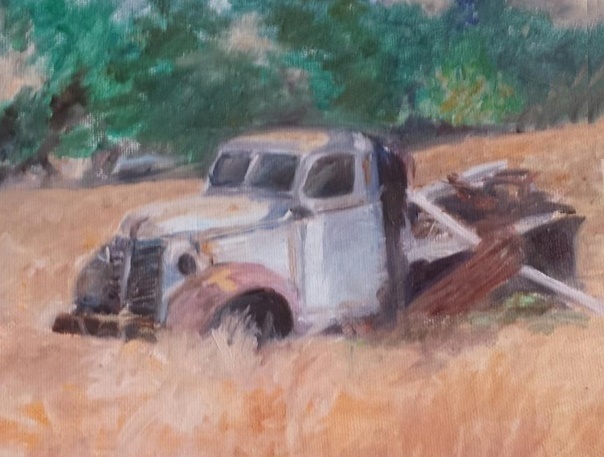 But the real highlight of the painting I feel is the sensitive portrayal of rust colours on the wheel arch and the bonnet of the truck. I do feel the dazzling contrasts supplied by the Californian light could have been exploited more fully. This entails placing bright highlights against cool shadows. The trees in the background may also have overwhelmed, causing the artist to paste green paint indiscriminately. The secret is to simplify the complex and don’t be afraid of using bright colours if these can be seen. 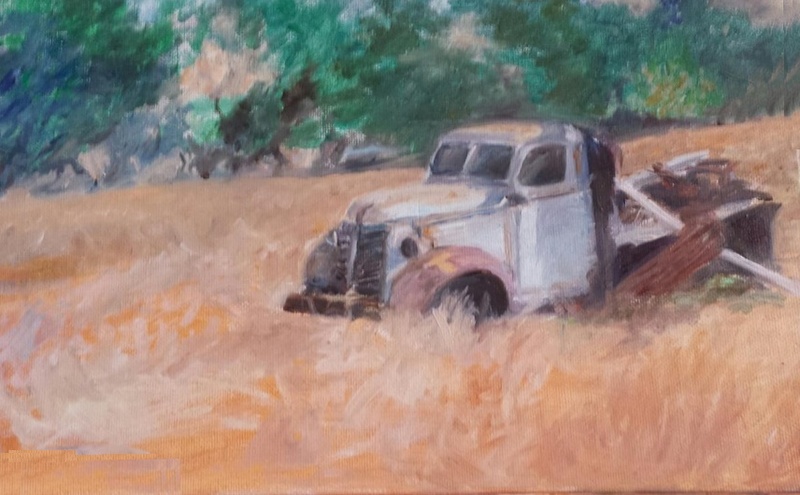 But the overall feel of this painting, is as dreamy, appealing expression of a rusted vehicle, giving way to the landscape, uniquely handled by someone at the beginning of an interesting journey.